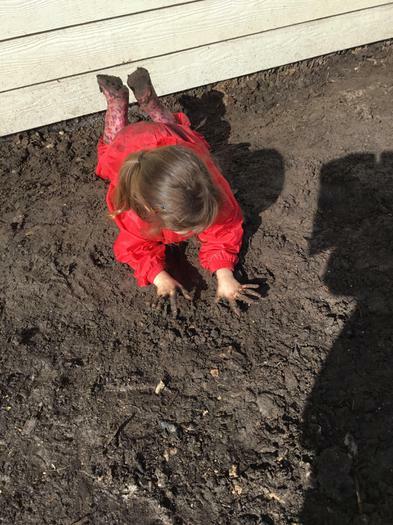 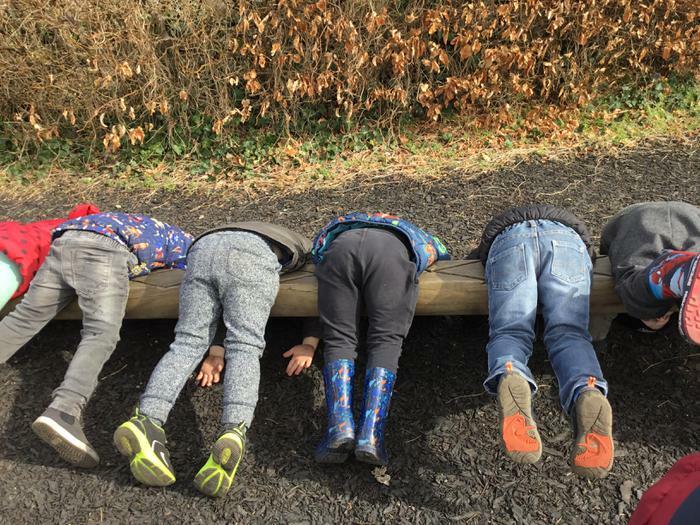 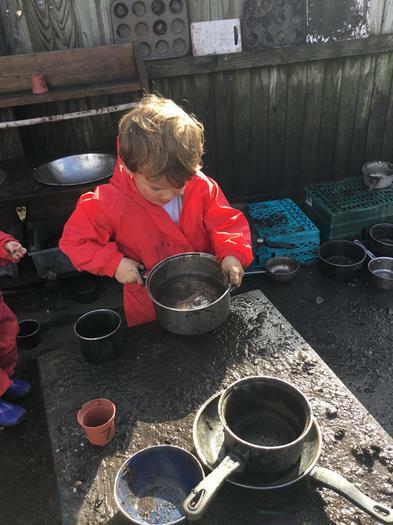 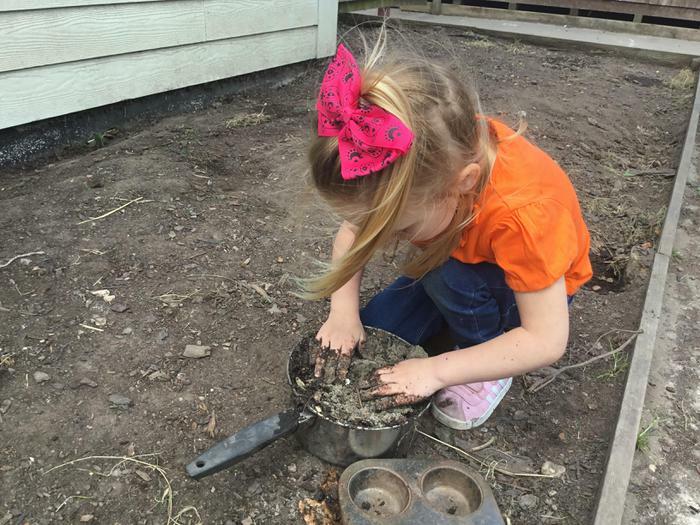 We have been making good use of the warmer weather at nursery and have been enjoying prolonged periods of learning outside. 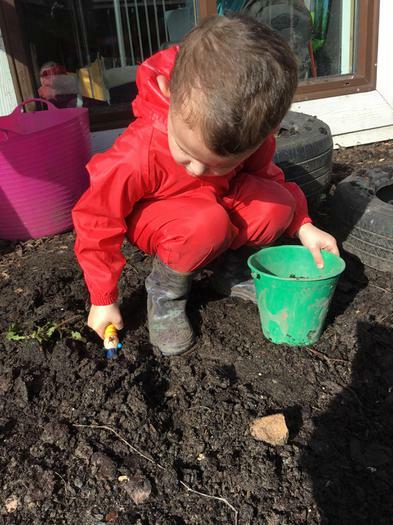 Children in Saplings have been enjoying looking for bugs and mark making, with many of the children choosing to write on the floor with chalk. 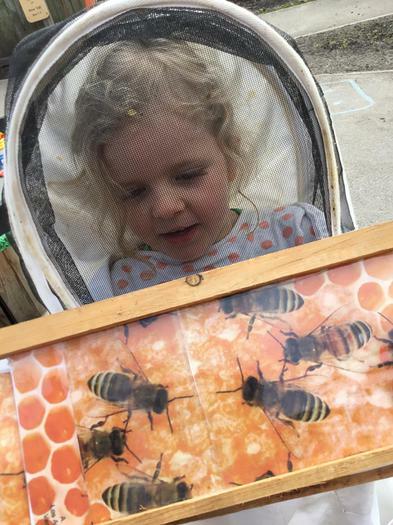 A recent highlight has been getting to be bee keepers when Perdy brought her hive (empty) in from home. 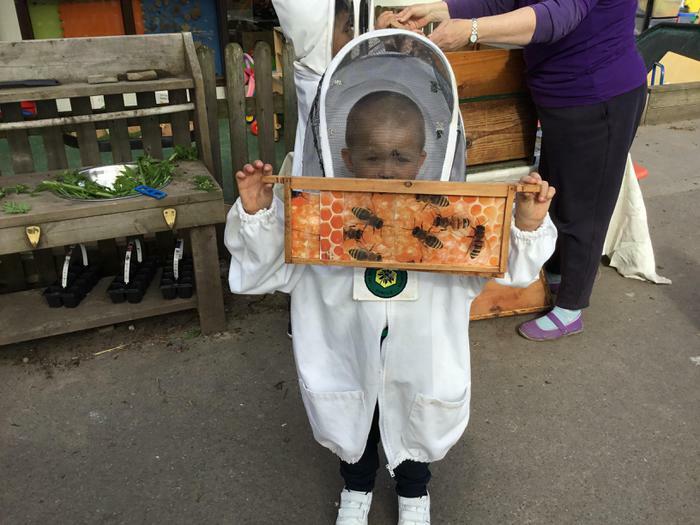 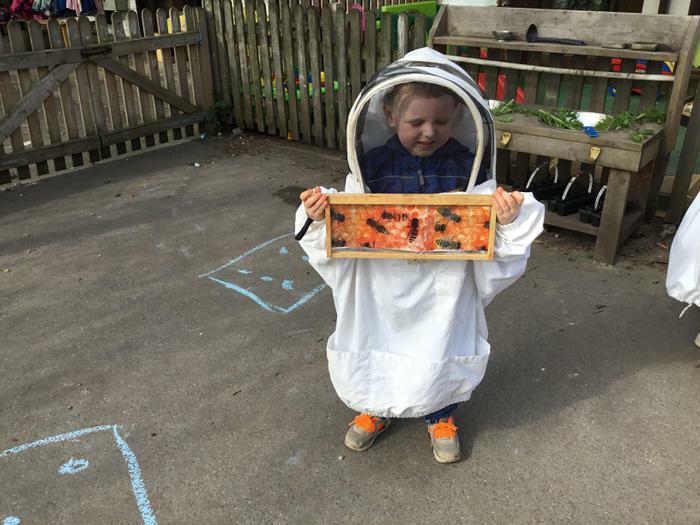 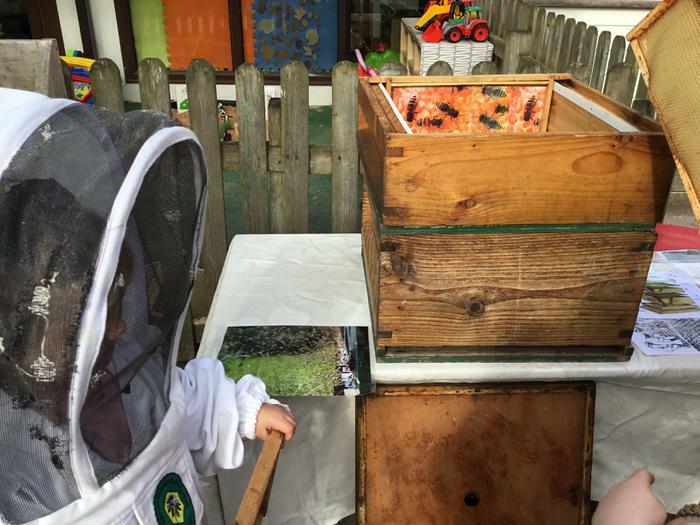 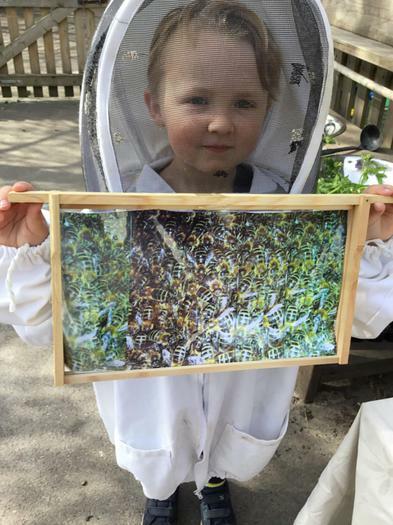 The children loved dressing up as bee keepers and looking at the different parts of the hive.